As their 30-year anniversary approached, the Just for Kids (JFK) Foundation was looking to refresh the way they engaged with the community while staying relevant to their patrons. They turned to Suite 203 to connect with a new audience while continuing to foster their long-standing relationships with current volunteers and donors. 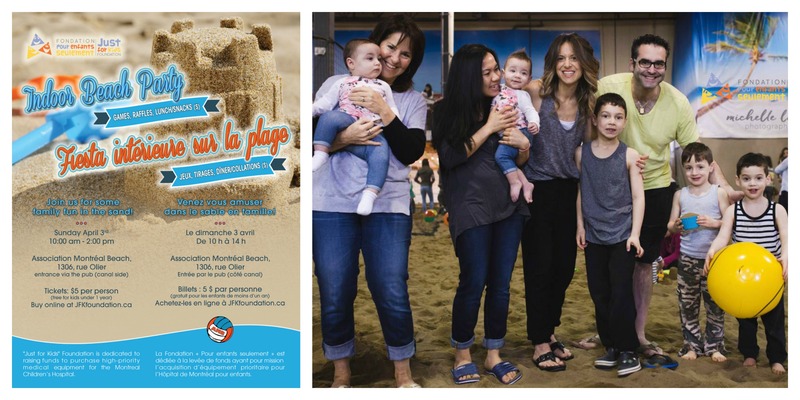 JFK is a Montreal-based charitable organization with the mission of purchasing life-saving medical equipment for the Montreal Children’s Hospital. Since inception, the non-profit has raised over $11M, mainly through hosting special events. While funds raised continued to grow year after year, there was a lack of new, dedicated volunteers interested in spearheading events for the organization and younger families adopting JFK as their charity of choice. We investigated why this lapse in younger volunteers and supporters existed and how JFK could capture the hearts (and wallets) of this important target market. We audited all branding and communication materials and conducted interviews and focus groups. Our analysis identified the barriers preventing this demographic from volunteering and donating to JFK. Fine-tune key messages and communication tool development (social media, videos, website, e-newsletters). 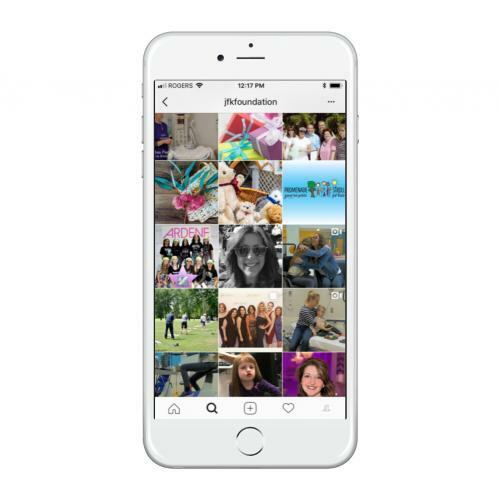 Create interactions with this new target market. By appealing to their emotions, parental instincts and sense of community, JFK would be able to connect and engage with new volunteers and donors. Celebrate JFK’s milestones and thank the patrons who built and supported the organization over the years. Develop new events and targeted communications to re-engage past volunteers and donors who are now grandparents and have a renewed interest in the children’s hospital. 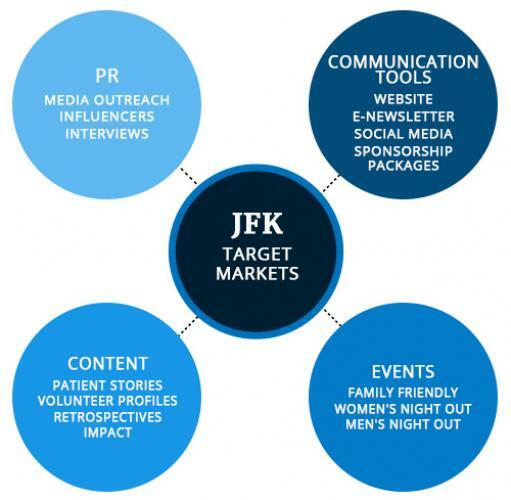 Today, with active social media channels, over 10,000 e-newsletter subscribers and a new user-friendly website, JFK has the tools , key messages and fundraising programs to connect to their new target audience and continue to nurture their existing supporters.